Getting out of the tube hobby. No time or place to enjoy it with 3 girls in the house that cant be bothered with manually turning on a switch. 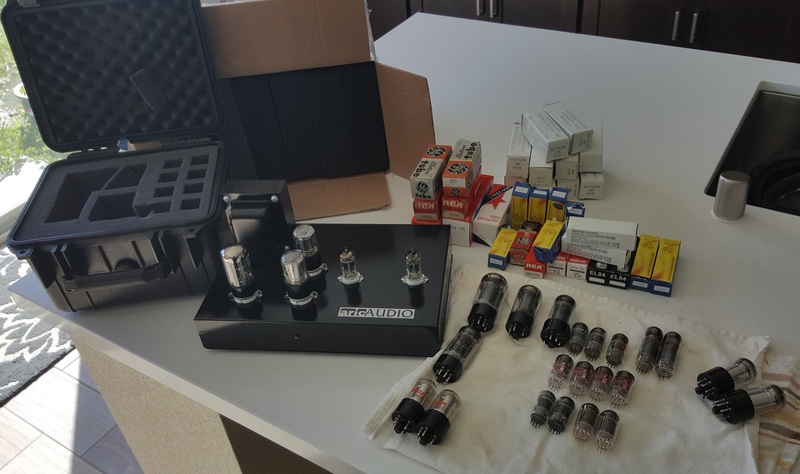 Anyways I am selling a custom made Aricaudio "The Unlimited" tube preamp as well as all the tubes I've collected over the last year. Also included is the Tube depot Tubecube storage container with a complete replacement set of pluck and pull foam. I'd like to sell this all as one set and not part it out. Asking $500 for everything!! The Unlimited new is $725 and the tubes are low market at $875. I am located in northern CA. If you want more info or better pics feel free to pm me and I can email over more. That aric is a pre? Where is the gain control? Hence the "custom".. see standard offering above. The gain is on the back. Like I said I have more pics if needed. Would be interested in tubes if you need to break this up. What are you looking to get for the bugle boy gz34? Does it have a box? Is the print in good shape? I'm looking to sell the whole getup. I don't have the time for the hobby any more. No original boxes for the bugle boys. The print on the tube is decent but not great. In the first pic you can see the bugle boy and amperex on the tube. I've moved onto McIntosh Mc275 and don't need this at all. 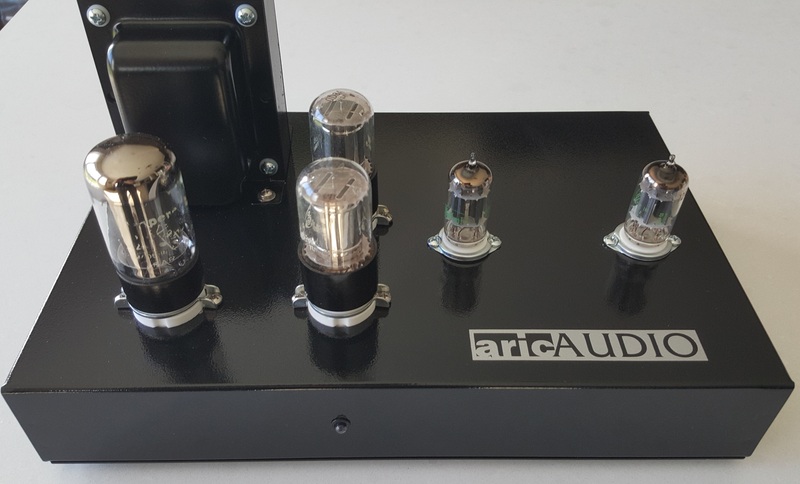 It's a great tube buffer/preamp and Aric at Aricaudio has awesome service. I'm selling everything for $500 buyer pays shipping. So this is basically a gain device? Sorry for the stupid question, I'm not familiar with this particular model. Tube buffer. 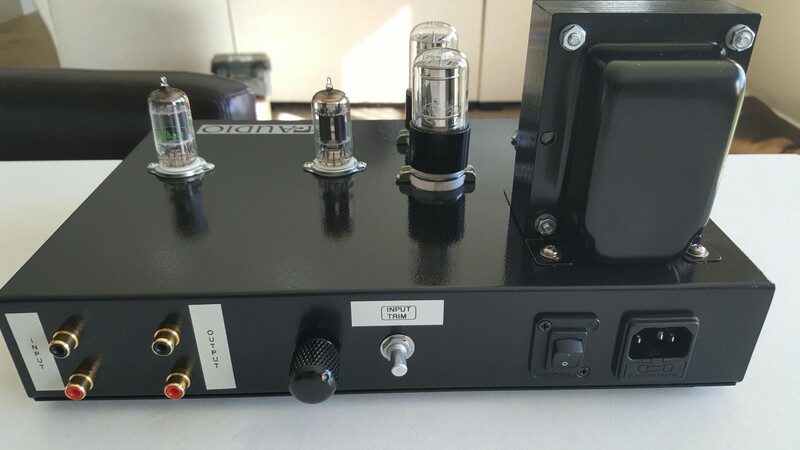 Preamp minus the phono stage, although I think Aric might be able to add the phono stage if needed. I would jump on this if it had 2 sets of outs. I've been admiring Aric's work for some time. All P2P..no pcb. Beautiful handwired work under the hood.